Information about this model leaked out long before it was officially announced, what spread many gossips and rumors. Even now, when official specifications of this model are well known and this model is even sold in some countries, many questions remain. We’ll try to answer all of them. 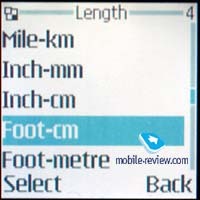 Below we often compare capabilities of such models as Nokia 6100 and Nokia 6610/Nokia 7210. So all remarks concerning different comparisons of the models are addressed to these three phones. 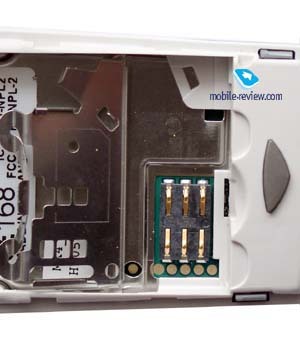 The point is that engineers, who worked out Nokia 6100 used the same platform which was applied to Nokia 6610/7210. Latter two models don’t have any differences except design features. 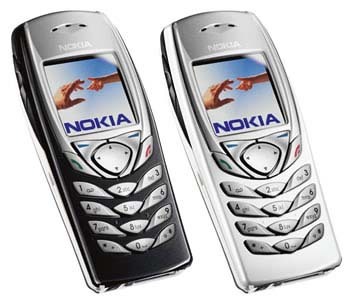 In contrast to them Nokia 6100 has several considerable differences in construction and slightly differences in software. Firstly, though Nokia 6610 has a comparable height and width, its depth is decreased to 4 mm; phone dimensions are 102 x 44 x 13.5 mm. 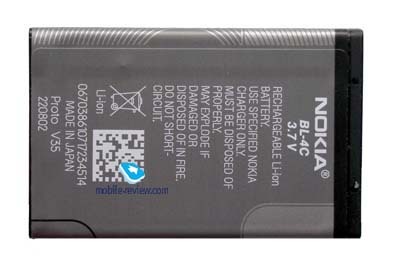 It was possible to do since a new type of battery was applied - BL-4C. It would be logical if the new model had a lithium-polymer battery. But in fact the phone is equipped with a lithium-ion battery, which was tested in a freezing period in Moscow (lithium-polymer quickly freeze and can’t be restored, when the temperature is below 15 – 20 degrees below zero). 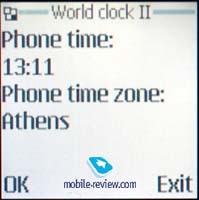 According to manufacturers operating time of the phone with this battery type is 150-320 hours in a standby mode and up to 6 hours in a talking mode. 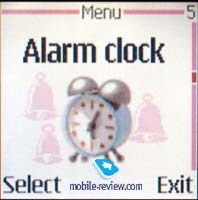 These values are similar to autonomy of Nokia 6610/Nokia 7210, only talking time was increased for an hour. Field test showed that the phone could work up to 4 days in case of 45-50 minutes of talking (Beeline network) and 20-25 minutes of using other applications. 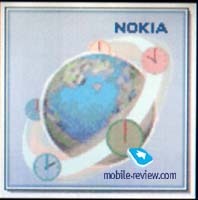 So operating time is almost the same as in Nokia 7210/Nokia 6610. Practically one can’t feel that it was increased. Time of full re-charging is about 1.5 hour. There is rather unusual construction of SIM-card holder in the phone, as for me, it is reliable. As the phone has lesser depth it’s handier (if compare with Nokia 6610). 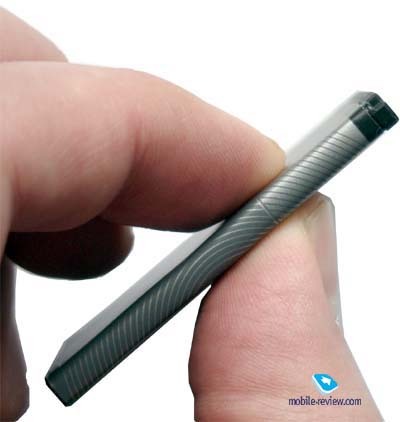 Weight of the handset is 76 g.; it’s also more comfortable. Despite of good fastening of both covers (they are interchangeable here), they scratch if you slightly press them. On the one hand it could be a defect of this sample, on the other – a peculiarity of phone construction. It’s easy to replace covers. Among standard accessories you can find 6 monochromatic colours of interchangeable covers. A display of this handset is comparable to one in Nokia 6610. 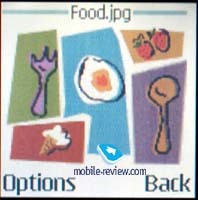 It is capable to support up to 4096 colors and has a resolution of 128õ128 pixels. Usually it can show up to 5 text lines and 1 line with icons. In SMS-mode thanks to scaling effect it can display up to 8 text lines and 2 service lines. The display has not bad color rendering. Though the information fades in a sunny day, it’s possible to read it. There are no problems at all in artificial lighting conditions. 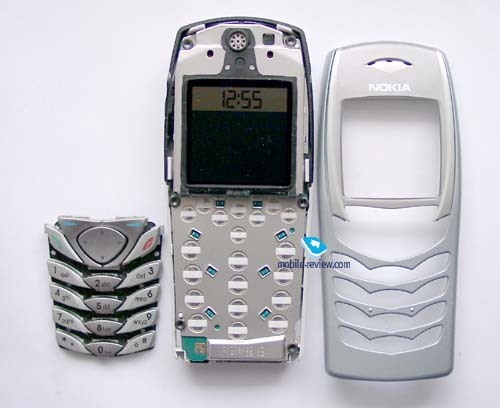 A keypad of Nokia 6100 differed considerably both in keys shape and size. Functional keys, placed under the screen, and alphanumerical keys (in a dialing mode) are very comfortable. When you enter a text you can notice that left and right keys rows are deeper placed in the phone than a central key row. That’s why it’s not always handy to input text. Slim font is used to mark symbols on keys, as a result, they are not clearly seen in average lighting conditions, central row in particularly. A backlighting of the display is blue. On the left-hand side one can see a double volume key, which is now more comfortable. On the right-hand side you can see a hole of the loudspeaker, which is responsible for ringing tones. We think that this hole increases ring volume. Here you can also find IR-port. 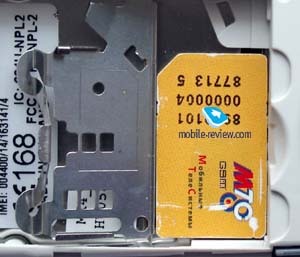 On the bottom of the phone traditional Pop-port slot is positioned, a charger connector could be found near it. 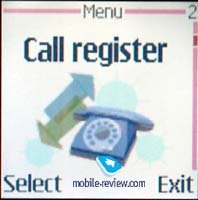 The manufacturer points (in a user’s guide) that Pop-port doesn’t support stereo in this phone. In reality the phone doesn’t have a source of stereo, namely integrated FM-radio. Sound of talking naturally has mono quality. Phone’s capabilities are almost the same as of Nokia 6610/7210. If you are interested in them, please, read respective reviews. Here we are going to pay our attention only to the main differences. Icons of the main menu were changed; though I don’t know which version I like most. A new function – Wallet was appeared in the phone. Here you can save confidential information about your credit cards, passwords and etc. An access to this information is secured by one password. If you lose it, you will automatically lose all your information. 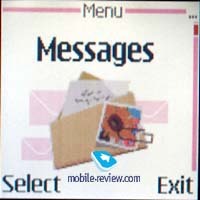 It is pointed in the user’s guide that now you can create MMS-messages, up to 45 Kb each. Earlier there was 30 Kb limit. Unfortunately it’s impossible to add sound files to a message, you can only receive them. 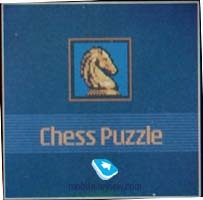 Chess Puzzle is the only pre-installed game. 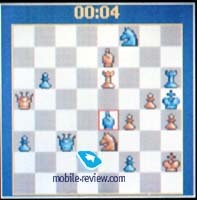 You should solve small chess problems here. I my opinion these problems are too easy and very quickly they become boring. If you wish you can delete the game and increase free memory space. 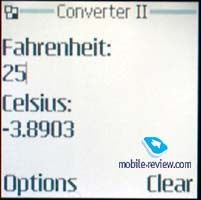 There are also two pre-installed Java application: unit converter and world time function. They are rather simple and also could be removed. 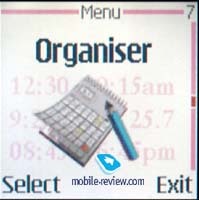 That is all about software changes of Nokia 6100, other features are similar to Nokia 7210. Please, read a respective review and you’ll know everything about functions of this phone. Vibrating alert is average, ring volume becomes stronger, now it’s can be heard well. Connection quality, volume of the loudspeaker while talking is quite good. 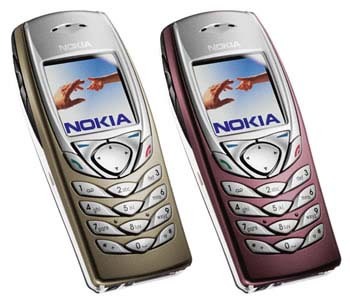 As you’ve already understood Nokia 6100 is almost analogues to Nokia 7210/6610. There are no considerable differences except absence of FM-radio. 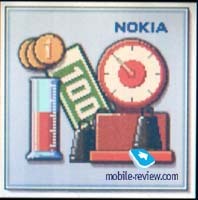 Design of Nokia 6100 is more interesting; it’s handier, weighs less and however, has the same operating time. Absence of portable handsfree in the standard kit can be also explained by absence of radio. 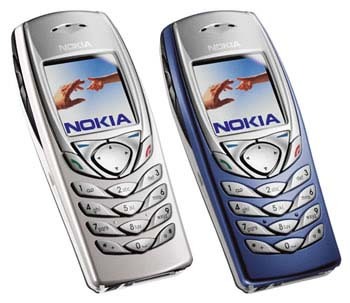 The price of Nokia 6100 would be 30-50 USD lower than the price of Nokia 6610. We think that those who like products of this company and don’t need radio will purchase this phone. In the beginning Nokia 6100 will cost more than Nokia 6610, what can be explained by high initial demand and small deliveries. 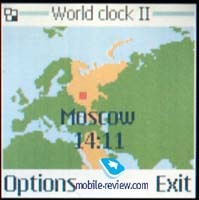 It can be expected that in March Nokia 6100 would cost about 350 USD in Moscow.